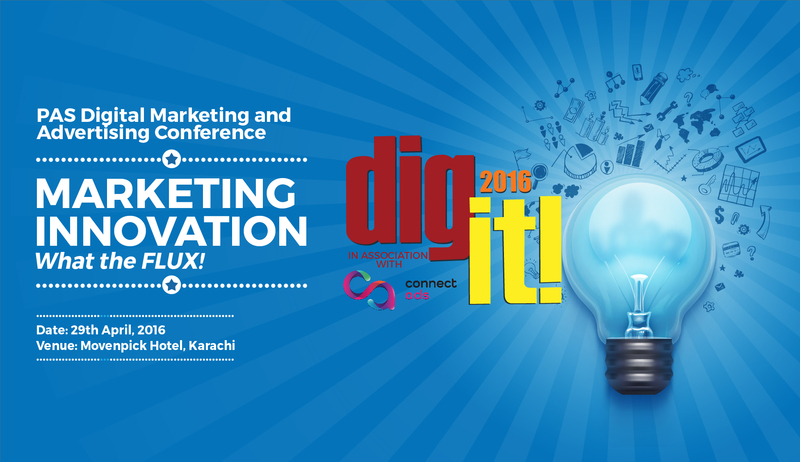 Pakistan Advertisers Society are once again organizing the Dig-it digital marketing conference that they did way back in 2012. It’s really interesting that there has been a dearth of marketing seminars and conferences in this part of the world for the last couple of years, and now all of a sudden you’ve got two marketing seminars in a span of one week. The choice of day, however, is not good. You don’t want to organize a conference with a packed schedule on a day like Friday when there’s a long break for Jumma. It would be interesting to see how the organizers manage it all. But I’ve got a feeling it’s not going to be smooth sailing. Address issues that the Pakistani digital industry is facing. Promote local talent and give them voice thereby fostering innovation. Bring in international expertise to help build up the local industry where needed. Help build skill-sets by providing organized training and inspiration platforms. 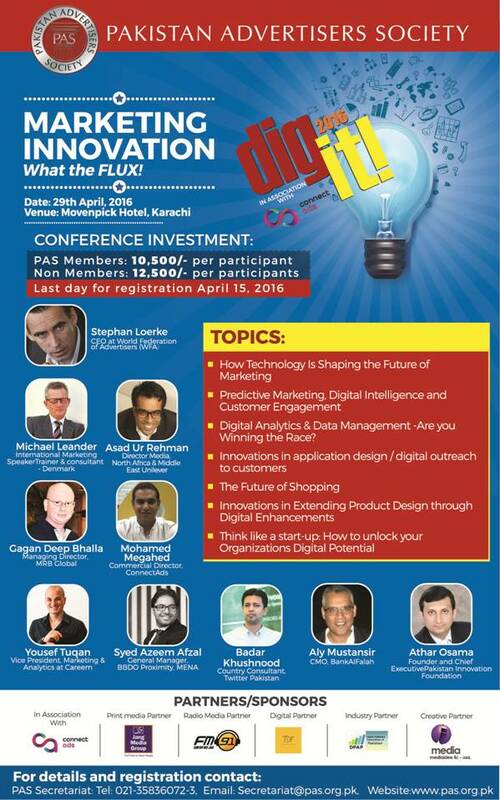 LAST DATE TO REGISTER: April 15, 2016. Now let’s see how many people actually turn up to attend the PAS Digital Marketing conference considering the fact that the Marcon 16′ conference was held just a couple of days back.